Garmin StreetPilot c330 has been discontinued. Accessories, spares and parts are still available for your StreetPilot C330, as are road maps. The Garmin StreetPilot c330 GPS navigator features a simple touchscreen interface, with automatic route calculation to any destination and turn-by-turn voice-prompted directions along the way. Selecting a destination is straightforward and requires only a limited amount of input from the user. Plus, the Garmin StreetPilot c330 allows you to choose between a three-dimensional (3D) navigation view or the more traditional "bird's eye" overhead view. As an added benefit, you can now import customized points of interest with the help of Garmin's free POI Loader software. The possibilities are endless - upload speed cameras locations or school zones, and you will receive a warning if you are traveling too fast. In addition, an optional proximity-alert feature notifies you of upcoming custom Points of Interest (POIs). The centerpiece of the Garmin StreetPilot c330 is a bright, 3.5-inch diagonal, 16-bit color display that makes navigation a snap. The Garmin StreetPilot c330 also features dual integrated speakers for high-quality voice prompts. The Garmin StreetPilot c330 boasts distinctive and sleek styling - the only buttons are a rotary volume knob and an on/off switch. The device is secured by a suction-mount cradle that fastens to the windshield for easy portability between vehicles. Users can customize their unit's appearance with an array of colored faceplates (sold separately). 12-volt adapter included. Looking for accessories and spares for the Garmin StreetPilot c330 view them all here. 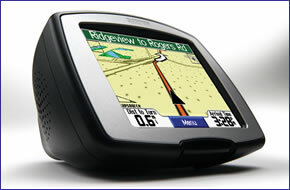 All parts are genuine Garmin product and specifically designed for use with the StreetPilot c330 sat nav.